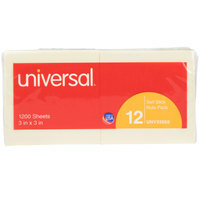 We carry sticky notes in a variety of colors, shapes, and styles, from classic yellow square Post-Its to large, ruled versions in pastel shades. 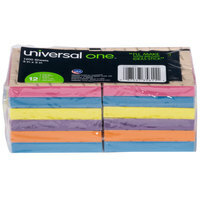 You can also choose to purchase sticky notes in multi-color packs or single-color options. 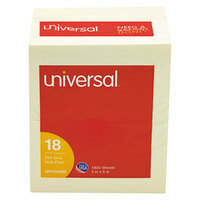 Additionally, some of these products are designed for use with pop-up dispensers for easy access. How big is a Post-It note? 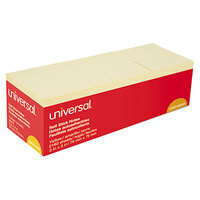 The size of Post-It notes varies widely, depending on the intended use. They range anywhere from just over an inch on each side to 4 x 6 inches. 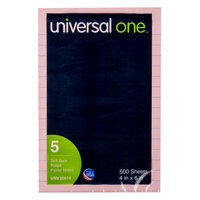 It’s unlikely that you’ll find a sticky note much larger than 4 x 6 inches because these products are intended to take the place of full sheets of paper when it comes to jotting down quick notes and messages. Smaller options are great for writing down reminders or short pieces of information, while larger Post-Its are typically used for longer or more detailed memos, like to-do lists or phone messages. 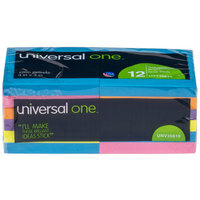 How many sheets are in a Post-It note pad? 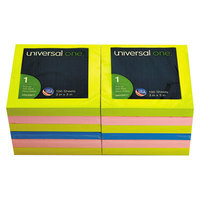 One single pad of Post-It notes will typically include 100 sheets, but other amounts are available, as well. 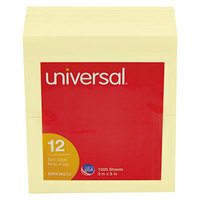 Another thing to keep in mind is that some Post-It pads are sold in sets, so you can purchase as many as 1200 individual sheets, all neatly contained in one package. What are sticky notes made out of? 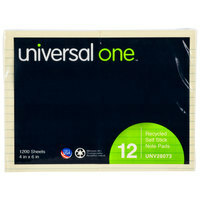 Most sticky notes are made of paper and feature a thin line of adhesive along the back of one side that keeps the pad together. This also gives these notes their signature function of being temporarily stuck to desks or other surfaces. 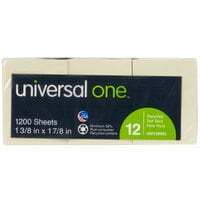 You can even find sticky notes that incorporate some recycled material into the final paper product, making them more environmentally friendly. 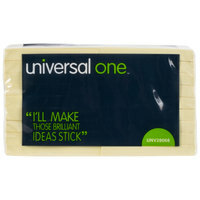 What makes a sticky note sticky? 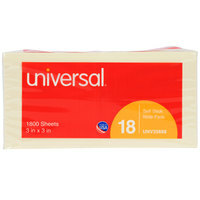 A thin layer of low-tack, pressure-sensitive adhesive is applied in a line along the the back of each sheet of paper. 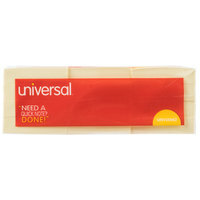 It’s this adhesive that transforms the papers from ordinary note sheets into sticky notes. 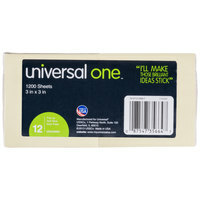 Also make sure to check out other great items from 3M, Redi-Tag and Universal. 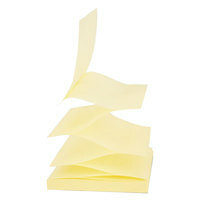 Whether you’re searching for classic yellow or multi-colored options, our selection of sticky notes includes a variety of styles that are sure to suit your needs. 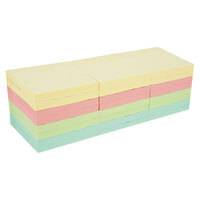 Post-It notes are stacks of small note paper that feature a mild adhesive designed to be temporarily stuck to desks, walls, computer monitors, or other surfaces that sit in prominent view. Use these products to conveniently leave messages or reminders for yourself or coworkers. 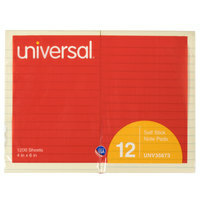 You can even use them to jot down quick ideas, phone numbers, or other notes. In case this isn’t quite what you were looking for, we also carry index cards, post-it and sticky flags, and memo and scratch paper. 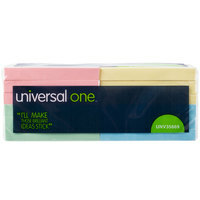 If you're wondering where to buy universal post-it and sticky notes, we have a large selection of universal post-it and sticky notes for sale at the lowest prices.